The Vikings revenge. Iceland is taking the money back from the clutches of the private fractional reserve lending cartel. Back in 1914, the Bradbury Pound was introduced by the UK government as an ’emergency measure’ to bolster a failing economy. It was a huge success. The banking elite were unhappy, however and panicked – before managing to wrestle control of the money supply afterwards. President John F. Kennedy also introduced a similar ‘Greenback’ in 1961, and again, the banking elite were very unhappy about being pushed out, and losing control of the issuance of money as debt. JFK did not survive past 1963. Then there was Muammar al-Gaddafi in Libya who, in 2009 announced a new gold-backed dinar, issued by Libya’s state-owned public central bank, and with further plans – negotiating with the other African nations for the creation of an all-African currency to compete with the Euro and the Dollar. Gaddafi did not survive past 2011.
Who knew that the revolution would start with those radical Icelanders? One Frosti Sigurjonsson, a lawmaker from the ruling Progress Party, issued a report that suggests taking the power to create money away from commercial banks, and hand it to the central bank and, ultimately, Parliament. Can’t see commercial banks in the western world be too happy with this. They must be contemplating wiping the island nation off the map. If accepted in the Iceland parliament, the plan would change the game in a very radical way. It would be successful too, because there is no bigger scourge on our economies than commercial banks creating money and then securitizing and selling off the loans they just created the money (credit) with. 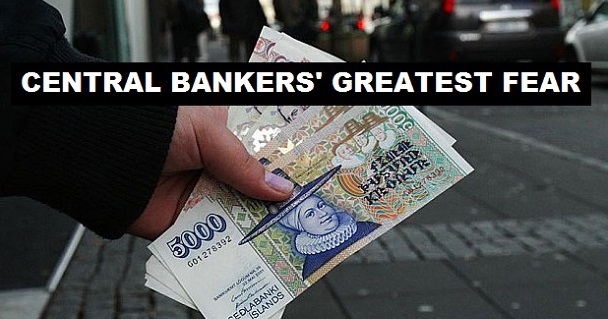 Iceland’s government is considering a revolutionary monetary proposal – removing the power of commercial banks to create money and handing it to the central bank. 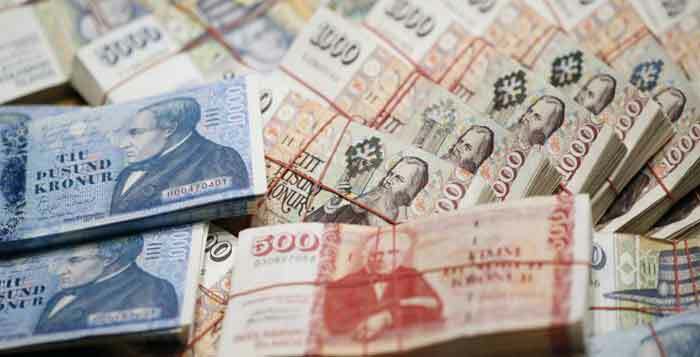 The proposal, which would be a turnaround in the history of modern finance, was part of a report written by a lawmaker from the ruling centrist Progress Party, Frosti Sigurjonsson, entitled “A better monetary system for Iceland”. “The findings will be an important contribution to the upcoming discussion, here and elsewhere, on money creation and monetary policy,” Prime Minister Sigmundur David Gunnlaugsson said. The report, commissioned by the premier, is aimed at putting an end to a monetary system in place through a slew of financial crises, including the latest one in 2008. Mr Sigurjonsson said the problem each time arose from ballooning credit during a strong economic cycle. He argued the central bank was unable to contain the credit boom, allowing inflation to rise and sparking exaggerated risk-taking and speculation, the threat of bank collapse and costly state interventions. In Iceland, as in other modern market economies, the central bank controls the creation of banknotes and coins but not the creation of all money, which occurs as soon as a commercial bank offers a line of credit. The central bank can only try to influence the money supply with its monetary policy tools. Under the so-called Sovereign Money proposal, the country’s central bank would become the only creator of money. “Crucially, the power to create money is kept separate from the power to decide how that new money is used,” Mr Sigurjonsson wrote in the proposal. “As with the state budget, the parliament will debate the government’s proposal for allocation of new money,” he wrote. Banks would continue to manage accounts and payments, and would serve as intermediaries between savers and lenders. Mr Sigurjonsson, a businessman and economist, was one of the masterminds behind Iceland’s household debt relief programme launched in May 2014 and aimed at helping the many Icelanders whose finances were strangled by inflation-indexed mortgages signed before the 2008 financial crisis.